A Pakistani Girl Was Harassed On The Streets Of India And What Happened Next Will Shock You! Ever wondered how would you react if you see someone being harassed on the streets? That too a woman? Usually, people just take a step back and don’t really make a lot of efforts to fix the issue that is going on. However, we recently stumbled upon a social experiment that was conducted in India where a Pakistani woman was harassed and the reactions were noted. The experiment begins with a woman in a burkha who has lost her belongings and is asking for help in terms of money from strangers so that she could head back to her hotel. Since she’s just on holidays from Pakistan, she tried to explain to people how she needs help from them and how India is a new country for her. The Indians talk to her for a while and then help her out. We see that later, a man (who’s a part of the experiment) just enters in the situation and accuses the Pakistani girl of being a criminal who just might blow up the entire area. He tries to convince the people to maintain the distance and beware of her, to which the citizens just try and protect the lady. After some quarrels with the Pakistani woman, people start saying things like ‘bhai rehne dein Pakistani hai to kia hua, ye larki hai.’ A lot of men defend the girl too saying that it doesn’t matter whether she’s from Pakistan or India, she’s a human and we shouldn’t raise a hand on her. It’s sad how our government has made a huge deal about the disputes that can be fixed. 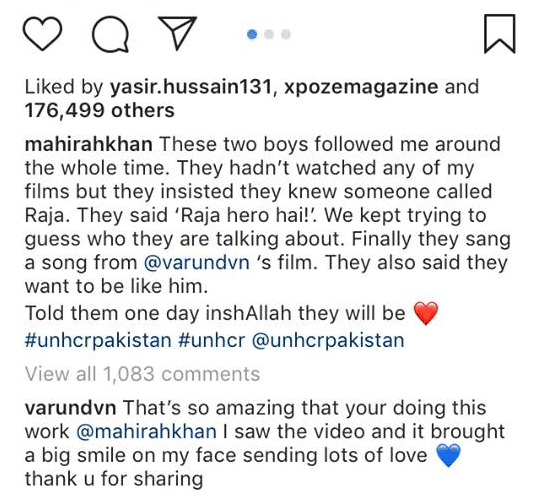 The citizens of these two countries can be a helping hand for each other and an example of this would be how Pakistani and Indian celebs actually support each other regardless of the government disputes. So, here’s the proof that Indian or Pakistani, people do actually care about each other and we hope the government understands that!